Power Factor Correction (PFC). More Welding Power, Energy and Cost savings, Generator Compatible. User Friendly Operation: Icon control panel (Speedtec® 180C) Icon control colour TFT Interface screen (Speedtec® 200C). 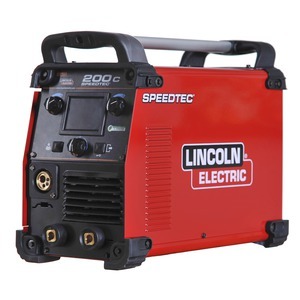 The SPEEDTEC® 180C & 200C represent the latest generation of state of the art inverter based single phase compact MIG machines. 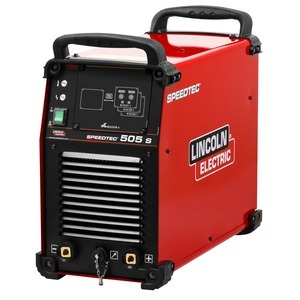 Lincoln Electric has constructed a fully professional machine packed with features, into a small light-weight compact housing maximising portability. These features make our range extremely versatile; they can be used for many different applications and can be easily moved around production facilities or transported to any location effortlessly. These units can be powered from the mains supply or are also suitable for use with motor generators. 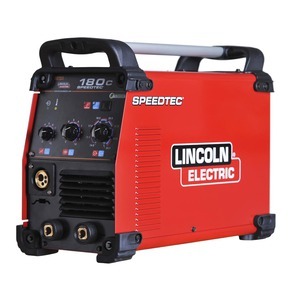 The SPEEDTEC® 180C & 200C units have been equipped with Power Factor Correction (PFC), a feature which supports high output welding current from a single phase 230V1Ph 50/60Hz supply allowing it to be used with a long (up to max 100m) primary extension cable. 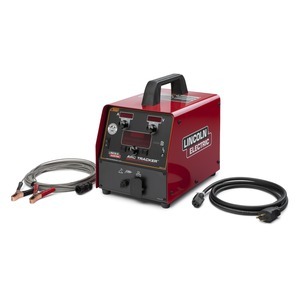 With electronically designed welding waveforms Lincoln Electric offers these multi-process units for MIG, Stick or TIG modes; it’s just a question of choosing the right model. 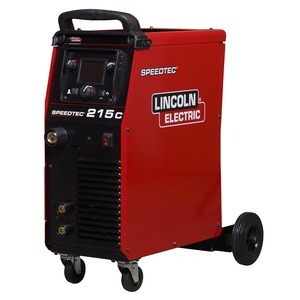 The SPEEDTEC® 180 & 200C are ready to tackle many different welding applications. The welding per-formance gives excellent results for Steel, Stainless Steel and Aluminium (using 200mm dia. spools). The SPEEDTEC® 180 & 200C machines work perfectly with mixed gas and 100% CO2 also with self-shielding wires (Innershield). Compact and Robust Innovative, Portable and Lightweight, Anyplace, Anywhere. Multiple Tasks Speedtec® 180C: CV MIG, FCW, Stick \ Speedtec® 200C: CV MIG, CV Synergic, FCAW, Stick, TIG Lift.